I’ve always been a morning person. I definitely have days when I sleep in, but I love mornings and don’t mind getting up early (as long as I get enough sleep that is). Mornings can be tough sometimes. Let me be real with you for a sec. Lately, my anxiety has been through the roof, so mornings haven’t been so easy and I’ve definitely wanted to just stay in bed lately. Do you ever feel that way? Anyway, even as a morning person, sometimes getting up isn’t always easy especially if I didn’t sleep well or stayed up late for something. 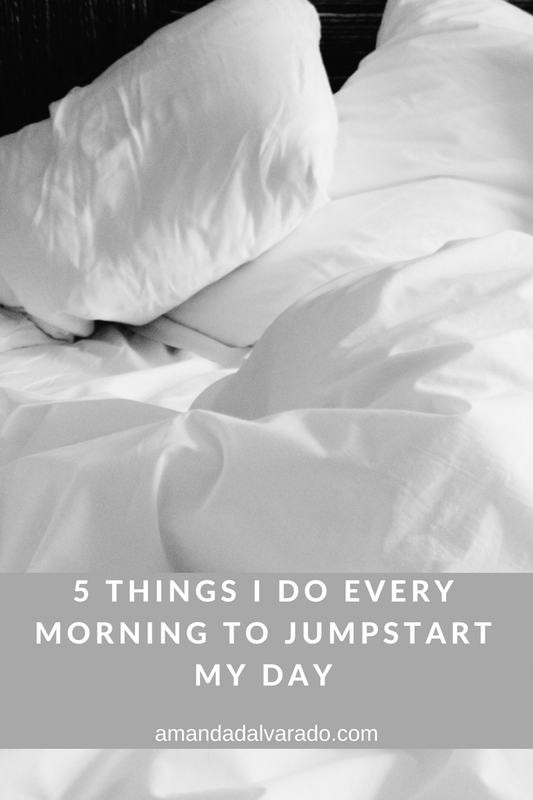 I’ve developed a bit of a morning routine that I try and stick to every single morning that really helps me get going each day. Every morning, I get my phone and do a quick devotion. I use the First 5 app! The app gives you a short devotion every day. It literally takes about five minutes and it is the best way to kick start my day. Washing my face and brushing my teeth helps wake me up and feel clean and refreshed every morning! Find a simple morning beauty routine and stick to it. I use Clean and Clear’s Morning Burst Face Wash! It’s oil free, which is great because my face is on the oily side. I like getting my workout in every morning. If I wait until the evening after work, it won’t get done. I don’t do a own workout. I keep it under 20 minutes and use the 8Fit app, but if I don’t get a chance to get a full workout, I at least do some quick yoga and stretching to get moving. I keep a water bottle next to my bed so that I don’t have any excuse not to drink water when I wake up. I am usually thirsty every morning, but drinking water is so good for you. When you drink water in the morning, it firers up your metabolism, hydrates you, helps your body flush out toxins, and gives your brain fuel. Pair that big glass of water with a healthy breakfast (and a little coffee lol), and you’ll be unstoppable. I do this the night before, but in the morning, I’ll look over what I got going for the day and also add anything that might have come up last minute so I know what to look forward to. It helps me go into the rest of the day with a clear head and game plan. What does your morning look like? I start my morning around 7:15 a.m. and I’m out the door by 8:30 a.m. for my over an hour commute to work. My morning routine is pretty simple. 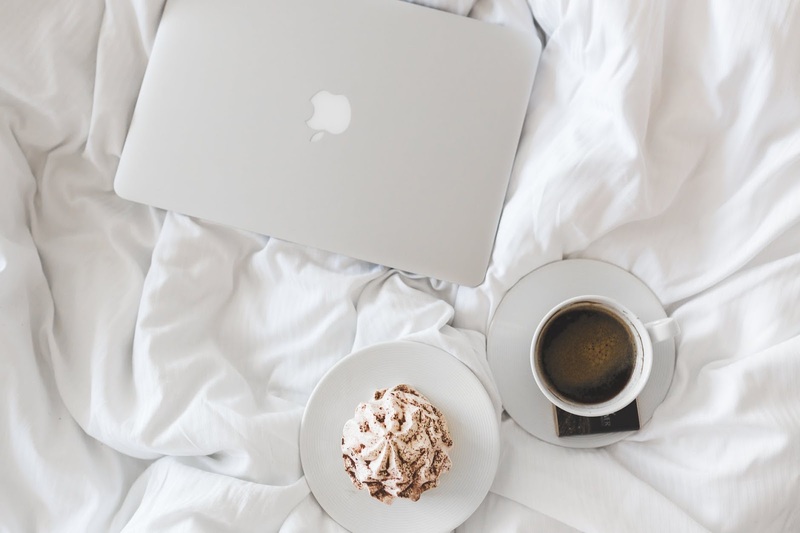 I love reading people's morning routines - thanks for sharing yours! I just started doing a devotion in the morning and I've found that it really is a great way to start my day on the right note. Girl me too! I love love love routines!